With the popularity of micro-holidays like Call of the Scarab and the Kirin Tor Tavern Crawl, we’ve decided to add more small vacations to the pint-sized getaways we call micro-holidays. 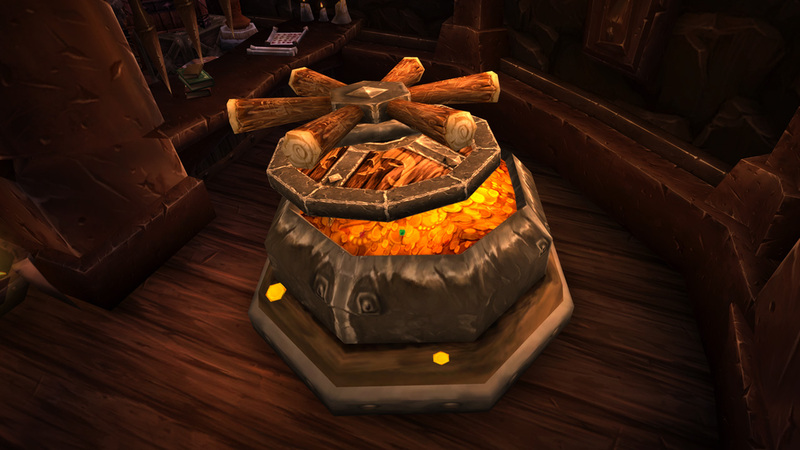 From now on, almost every day in WoW will present an opportunity to celebrate a thing, earn a thing, win a thing, or accept a task to run around gathering things with the reward of getting other, different things! Tired of unrealistic, remote queuing in-game? 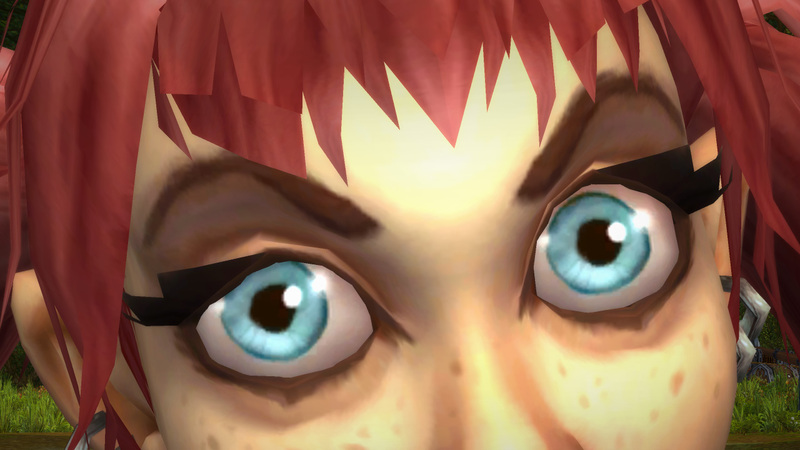 Bored by your ability to continue questing as groups are forming? Then this is the micro-holiday for you. 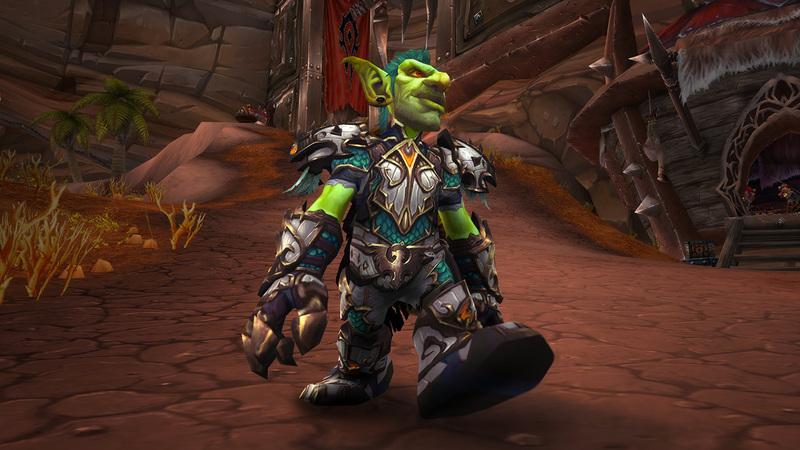 For the duration of Looking For Queue (LFQ), the only way players can enter a dungeon is to stand in line outside the dungeon of their choice. There will be four separate lines for Tank, DPS, Healer, and Queueing As The Wrong Role To Get In Quick. Make new friends in line! Bring popcorn! Don’t queue for a role you don’t intend to play! The smallest of our holiday events lasts a mere ten seconds and rewards the illustrious title ‘The Unblinker.’ The title is available for you to use for the full duration of the holiday, so head over to the Caverns of Time to take part and impress your friends with this rarity! The event starts at 00:01:11 and finishes at 00:01:21 CEST on a day that will be announced four and a half seconds before the event starts. Stay on your toes! Or maybe just stay logged in and fairly close to Anachronos. Just in case. Experience Azeroth from the skies! In fact, only from the skies! When this event is active, there will be no walking, no ground mounts, and absolutely no running, please—that’s how stuff gets broken and why we can’t have nice things. Players without the flying ability—or no flying mount—will simply float above the ground where they last logged out, regretting many of their in-game life choices. 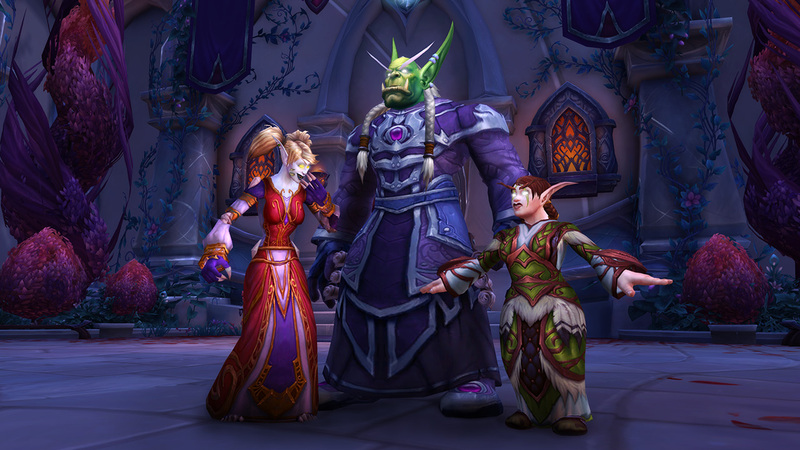 For three days, every race will become an elf variant, making Azeroth even more absolutely fabulous than usual. For example, tauren become Hoof Elves, worgen become Woof Elves, orcs become Very Angry Elves, goblins become Avoid Elves etc. Every player will also gain three racial traits for the duration of the event. Every Elf for Himself: Removes all stun effects, but somehow leaves the player even more stunning than usual. Elf, I Need Somebody: Help! Not just anybody. Help! You know I need someone. No, really. I’m pretty lonely. Elf and Safety: Even in the fiercest of battles, your hair will remain up to 70% Unruffled and has zero chance to become Completely Disheveled. Good news, everyone! 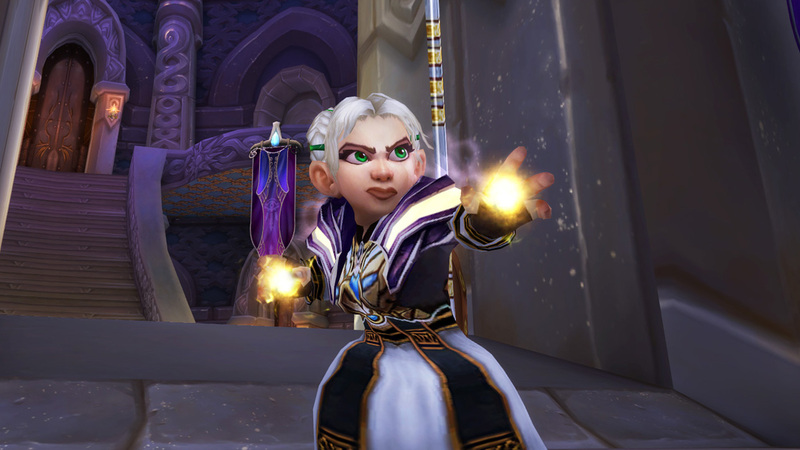 Chromie has travelled forward in time to patch 23.1 and brought a dungeon back to us—scaled down—to enjoy right now! When you play through the new dungeon, tokens will drop which allow you to buy items from the new Future Timewalking faction: The D’Loreion. New mount: Time Traveler’s Tundra Mammoth. 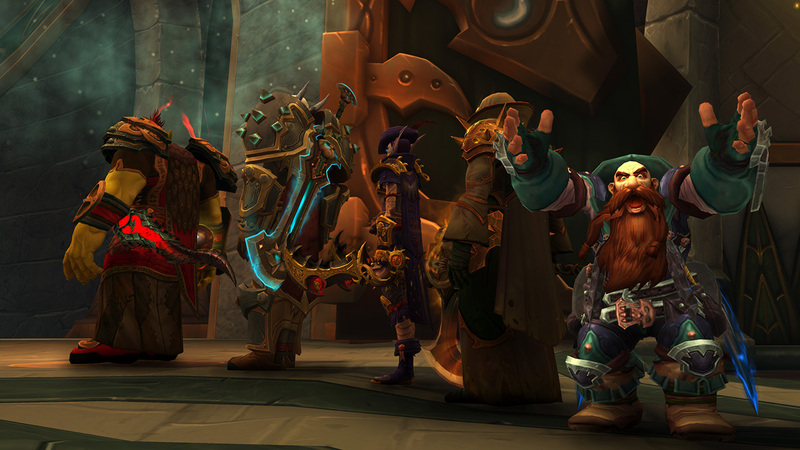 This mount features six NPCs who can help you with repairs, transmog, food and drink, future-you problems, past-you problems, and current-you problems that may or may not be problems for either past- or future-you but have been solved somewhere else on the timeline you are apparently on right now. This mount is bigger on the inside. Two new pets: one will hatch in 2023, and the other six minutes before you read this. Mark of the Traveled: Movement speed increased by 0.000008% per 0.1 meters traveled. So on a trajectory of 8 meters, you can expect to gain momentum incrementally, to a maximum speed boost of quite a lot. Legacy of the Jet Lag: The time displayed on your minimap will display anywhere between three to four hours ahead of your current time. Power Word: BAM: Attack Power increased by 3 seconds. We think this one speaks for itself. RP walk only. Browse. Take your time. Enjoy. 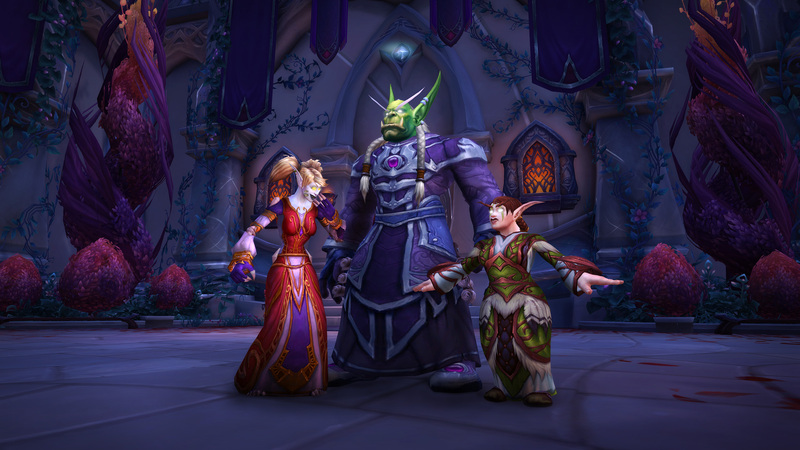 To unify Kalimdor and Eastern Kingdoms more effectively, Blood Elves will swap with the Draenei to make sure the Alliance and the Horde have full control of one continent each for the duration of GTFO. 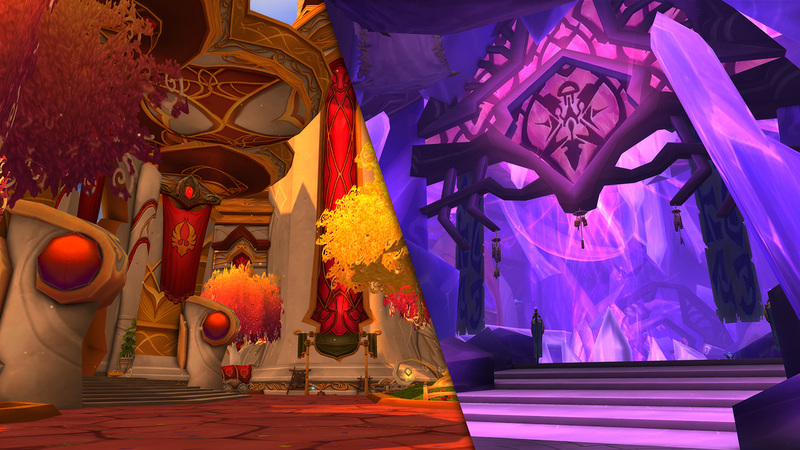 To that end, the Draenei home of Exodar will be run by the Blood Elves and Silvermoon by the Draenei. Goodness only knows how this one will turn out, we don’t expect it will be popular. Although when the factions swap back at the end of the event, they’re really going to like what the other side did with the place. 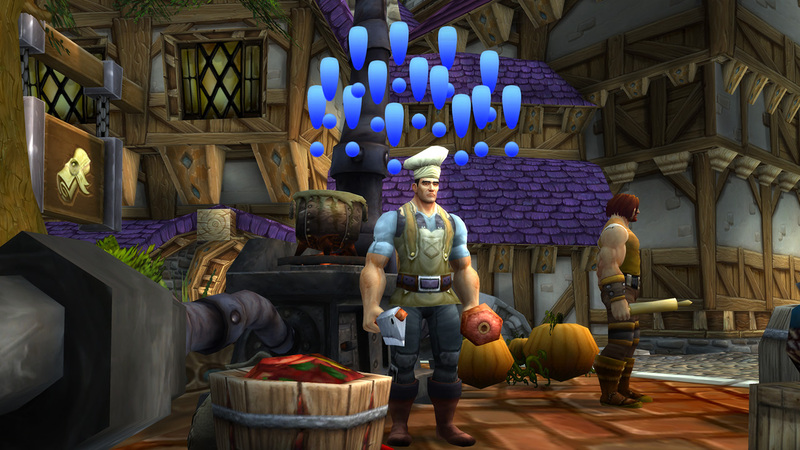 Who knew Silvermoon City was crying out for groups of blue crystals? Who’d have imagined the Exodar just needed a lick of gold paint to feel like a whole new place? Good news for miners! You can now use rock-chain mining technology to mine a new geo-currency: Critcoin. Critcoin sits in your currency tab, appreciating and depreciating at a rate that will make your head spin. One Critcoin can be worth 15,000 gold one day and three Interesting Rocks the next. Use it to buy things. That is, if you can find a vendor who accepts geo-currency. It’s very new, all this. 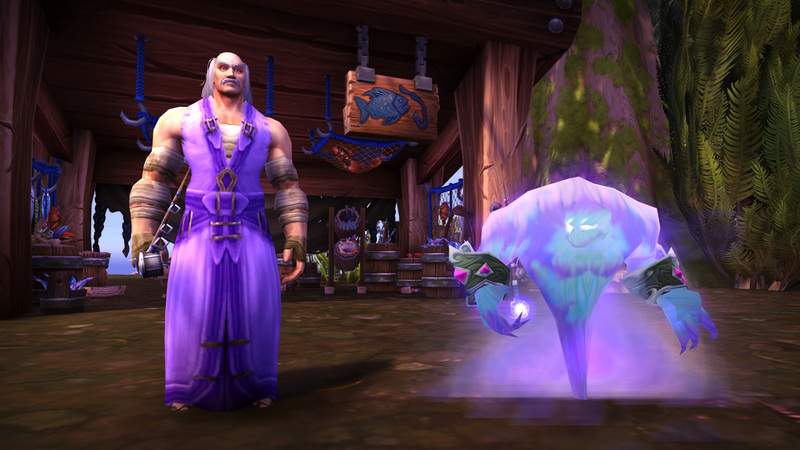 Pick up your pole, loop your lures, and fish up a feast of Drowned Mana. 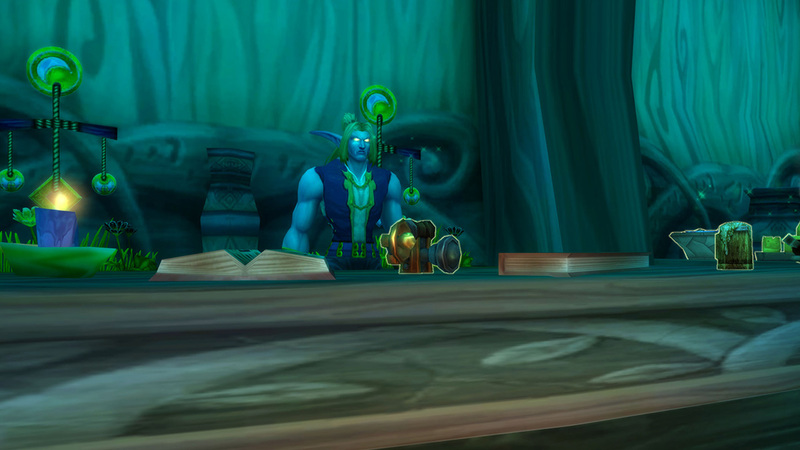 On Margoss Retreat Day, take a break from the hectic world of smiting demons and undercutting people in the Auction House to sit back, cast your line, and relax. Please note: During Margoss Retreat Day there will be no other fishing in any part of Azeroth. If you cast your line into water, you will receive increasingly passive-aggressive error messages until you stop. So you just think about that. Repeatable daily quests can now be repeated within the same day, rewarding exactly the same reward you got the first time around! Keep earning that same gold, reputation, or tokens as long as the day is long—for absolutely no benefit whatsoever whatsoever! What A Short, Predictable Trip It’s Been! You’ve guessed it! This is when all the micro-holidays will be active at once, for one day only. 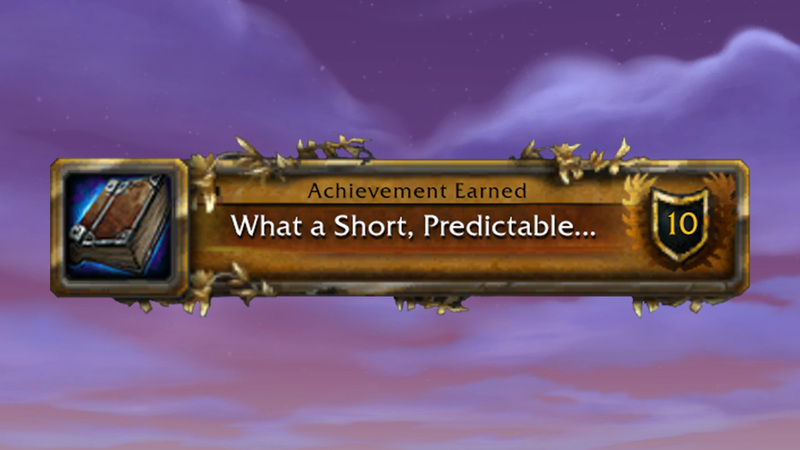 If you attend every event, you’ll earn the meta-achievement What A Short, Predictable Trip It’s Been, which rewards Reins of the Violent Eschatos-Drake. The Violent Eschatos-Drake is as troublesome as the name implies. Don’t fly too high on this one, it bucks you off every 15 seconds. 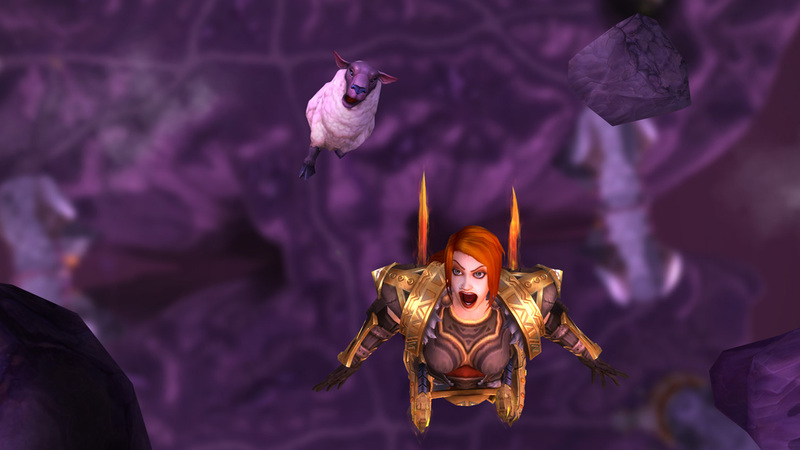 Every time you’re dropped from the mount you get a buff—Bucked Off—which increases your flying speed by 0.5%. If you gain 20 stacks of Bucked Off, you earn the achievement Totally and Utterly Bucked Off, to prove your questionable staying power in the face of logic and reason. We will announce other micro-holidays throughout the year, but here’s a list of the ones coming your way soon! If you have suggestions for more, leave them in the comments below.